In 1821 members of the O’Kelly family made a gruesome discovery as they dug turf near their home at Gallagh, Co. Galway. 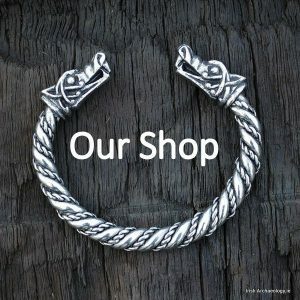 As they sliced through the dark peat, they suddenly came across the remains of dead body, which had lain there undisturbed for over 2,000 years. Remarkably, this ancient body was in a near perfect state of preservation. The cold, acidic, oxygen-free conditions of the bog had prevented the remains from decaying and had mummified the human flesh. They had found a bog body. An enterprising, if somewhat morbid family, the O’Kellys saw an opportunity to make some money. They re-buried the bog body and then charged visitors a small fee to excavate and view it. The remains soon became a macabre tourist attraction and the O’Kellys continued to exhume and re-inter the bog body for the next eight years. Unfortunately, this caused the corpse to deteriorate and explains why it is a relatively poor state of preservation today. In 1829 the Royal Irish Academy finally intervened and purchased the human remains, which were subsequently preserved. Gallagh Man, as the bog body became known, was a young male, of around 6ft in height, who was in his early twenties when he died. He was naked except for a large deerskin cape, which extended to his knees. The evidence suggests that he did not die of natural causes. The body had been fixed to the ground with pointed stakes and a willow withy was found wrapped around his neck. 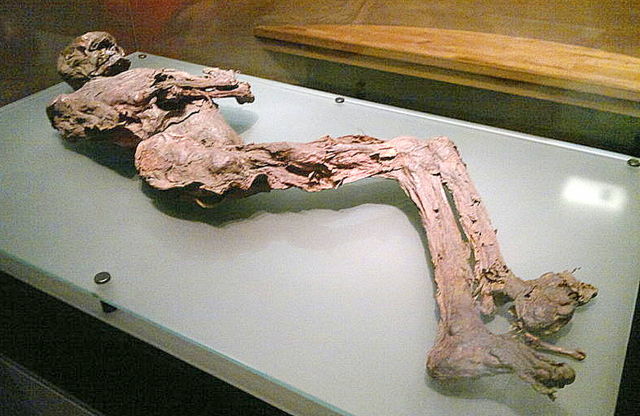 This suggests that the man was strangled prior to being deposited in the bog, a cause of death also noted in a number of other bog bodies, including Lindow Man and Borremose Man. 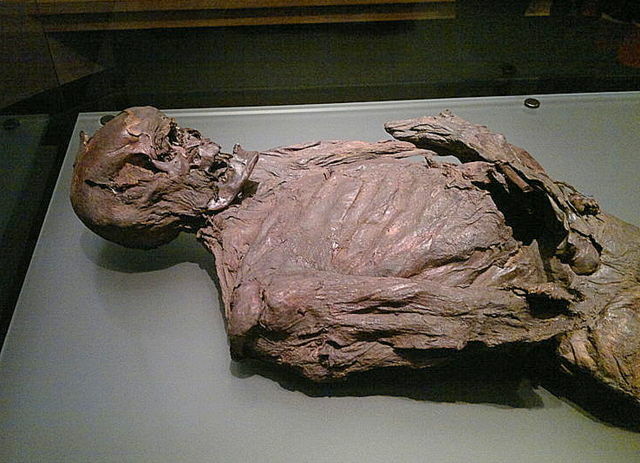 Radiocarbon analysis of the Gallagh Man remains indicates that he was killed in Iron Age, sometime between 470 and 120 BC. 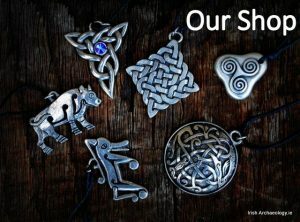 This was a period when a number of other Irish bog bodies were also buried in the peaty depths and it has been suggested that these may represent ritual murders to appease the gods. One theory proposed by Ned Kelly, formally of the National Museum of Ireland, is that ‘these men were failed kings or failed candidates for kingship who were killed and placed in bogs that formed important tribal boundaries‘. The bodies served as offerings to the goddess of the land to whom the king was wed in his inauguration ceremony (see Archaeology, No. 63, Vol 3, May/June 2010). Today Gallagh Man is kept at the National Museum of Ireland, Kildare Street, Dublin. Were they able to do any DNA testing? It would be fascinating to find out his paternal and maternal haplogroups.